2014 High Times Seed Bank Hall Of Fame 2014 High Times Top Ten Strainbr> The La Plata Mountains of Colorado tower over the landscape at an altitude of 7000 feet. The air is clean, the growing conditions are optimal and the mountains produce plants with a particular disposition to growing up big and strong, making cannabis that is cultivated there among the hardiest and most formidable a grower can find. In the midst of the grandeur of the La Platas lies an innovative cannabis breeding house that shares their name: La Plata Labs.La Plata Labs was established by an elite group of skilled and experienced breeders whose aim is not only to create new and exciting cannabis strains, but to create varieties that are truly the best they can be. 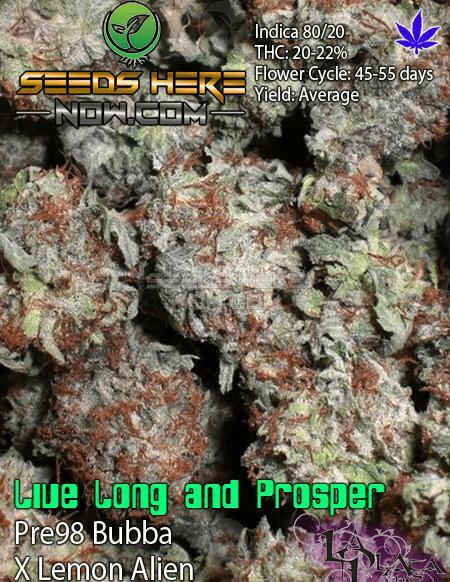 Those who have grown these seeds and experienced the product they produce agree that they have repeatedly succeeded in reaching that goal.Adhering to some of the strictest guidelines in the industry and setting standards that are beyond ambitious, La Plata has brought to the table some of the best and most sought-after cannabis genetics on the market. These strains are not only of superlative quality, but also extremely stable. They take the time to examine and replicate the best traits in each and every cross they make. They select only specimens that possess high potency, superior flowering capabilities with abundant yields, the best possible flavors and the most solid physical attributes. In short, they strive for perfection and they do not rest until they know their strains are as good and as stable as they can be. In their efforts to produce consistently high quality varieties, La Plata has also opted to focus their attention on a small number of strains. Currently, they offer five main varieties.Each one is indica-dominant and has a number of new ones based on the existing genetics currently in development.These seeds are very consistent and dependable and boast an extremely high germination rate. They have a respectable shelf life, grow in a variety of environments – both indoors and out – and stand up well to extreme conditions when grown outdoors.